The decision to franchise opens up many additional questions for business owners already bogged down with a myriad of responsibilities. Where do we want to expand? What makes a good potential business location? And whom can we trust to gain intimate access to our business? Our annual list of America's fastest-growing private companies is full of entrepreneurs who have carpe'd the diem. Particularly in industries such as health care, financial services, and technology, the Inc. 500 mirrors the most robust sectors of the U.S. economy. Electronic-payment processors. Niche retailers. Boxing fitness companies. Still doubt the trajectory of e-health businesses? You missed an opportunity. For many baby boomers, the empty nest can become full again if Mom or Dad has to move in because they can't live on their own anymore. Fortunately, there are plenty of ways to make sure they can age in place safely and comfortably. Having a spare room in a home can present a great opportunity to transform the space into something that fits your lifestyle. And with many empty nesters now having unused space after the kids are grown and gone, room transformation is becoming a very popular home project. ..."You can't trust most contractors; they just want to rip you off." Every homeowner has had an experience with some type of contractor that left a very bad taste. They show up late (if at all), track mud in your house, never have the parts they need, park on your lawn, leave trash in the driveway, try to sell something you don't need, use your bathroom without asking and light up cigarettes in your house. The list goes on. I spoke with one of Hire it Done's pre-screened licensed and insured contractors Keith Paul, owner of HandyPro Handyman Services in Plymouth, Michigan. In his 19 years of running HandyPro , he's seen it all. "We get called in on projects at every stage; from the time a project is just being conceived, to rescuing a homeowner from a failed attempt. We understand that ambition, experience and time don't always come together as planned." Keith A. Paul Awarded by Corp Magazine June2014, Entrepreneur of Distinction. Recognition for the needed stamina,creative insight, and forward thinking to establish and maintain asuccessful organization. With the aging of our society, more people are trying to figure out ways to remain in their homes as they age rather than selling it and moving to an assisted living facility. We talk with Robert Gurinowitsch, the Chief Operating Officer for HandyPro, a national senior home modification and handyman services company headquartered in Plymouth, Michigan, to find out more about what seniors need to know regarding modifying their homes as they age. Q. After years of living in their homes, it seems senior citizens are trying to remain in them even as they may become more disabled. Is that a trend you are seeing? HandyPro, a national handyman service and senior home modification franchise company headquartered in Plymouth, has recently been named as the number one Handyman Service business in Entrepreneur magazine's 35th annual "Franchise 500," which ranked the top franchise companies for 2013. 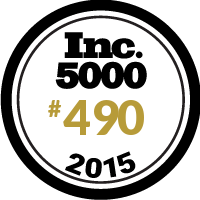 In addition, Home Business Magazine also named HandyPro as one of 50 "Trendy" home-based businesses. Sometimes, Keith Paul said, the best preparation for business success comes from not succeeding in the beginning. Paul, the CEO of Plymouth-based HandyPro, operates an expanding company that offers handyman outlets. It now it has 31 franchises in 13 states; and he's hoping to take the business global. He said a key driver for the demand for handyman services these days is that thousands of baby boomers are aging, and rather than move into a nursing home, it costs less to modify their homes so that they can stay in them. "There's such a need for this around the world, not only in the United States," he said. Many people are, or will be soon, making age-related decisions for themselves or an aging family member. Outside of health concerns, housing is often the most challenging consideration. John Hoppa, Jason Roberts, and Lee Rider are three Gwinnett County residents who recently started a HandyPro franchise that specializes in home modifications for seniors, and serves Suwanee. Roberts and Rider are also residential real-estate appraisers. "I've Never Had a Dishwasher!" Can power factor correction devices lower your electric bill? Back in the mid-1990s, Keith and Debra Paul watched as Debra's grandmother suffered through being ripped off by a contractor. After that experience, the Pauls began a referral service, finding contractors mostly for people who needed things done around the house. When demand for that grew to be too much, they took the next step: They started their own company and, in 1996, HandyPro Handyman Services was born. "We had so many calls for handymen, we couldn't find enough," said Keith Paul. Providing a cadre of handymen who arrive when they say they will and do what they are asked to do at a fair price may not sound revolutionary, but it has been the secret to success for HandyPro. The Plymouth-based service company is recording $1.2 million in annual sales, including its five franchises. The owners are aiming for 100 stores in the next decade. I wonder how many men in this country are married to Martha Stewart? I know I am, and with great pride, as I see all of the talents that Valorie possesses. The 13-person staff of HandyPro Handyman Service Inc. is pounding on new doors as the Plymouth-based firm increases its commercial outreach to paint a steady profit picture, according to co-owner, Keith Paul.